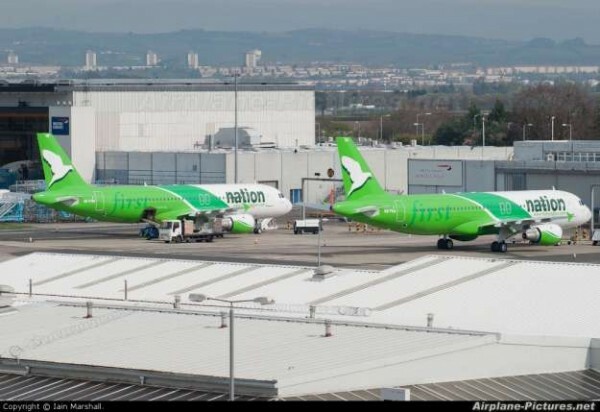 The incident occurred at about 12pm on Friday, July 17, 2015, between two aircraft belonging to First Nation Airways……. Two aeroplanes have collided at the Murtala Muhammed Airport in Lagos State. The incident occurred at about 12pm on Friday, July 17, 2015, between two aircraft belonging to First Nation Airways, Vanguard reports. 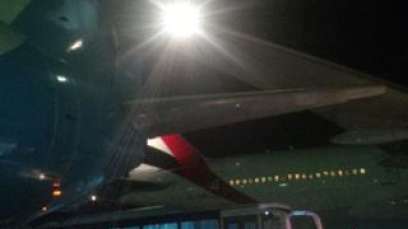 One of the planes was reportedly taxiing from the runway to MMA2 to drop off passengers while the other aircraft was preparing to take off for Port-Harcourt when the collision happened. A source at airport is said to have blamed the incident on a possible misdirection by the marshals who directed the arriving plane to taxi to the wrong part of the apron. The incident has been confirmed by the General Manager, Public Affairs of the Nigerian Civil Aviation Authority (NCAA), Fan Ndubuoke. Ndubuoke said that there was no casualty and that the incident had been referred to the Accident Investigation Bureau (AIB) for further investigation. A similar incident had occurred at the airport on July 6, after an Emirates aircraft hit a parked Hak Air plane.